Well, I guess it’s time for the reflective post on the last year. 2015 was definitely one of the most conflicting years for my writing, there were definite high moments, but some very definite low moments, and I think my blog was with me throughout the majority of them. I released my first book of 2015 on Valentine’s Day, Prince’s Tale. Following that I released 7 books between March and October. 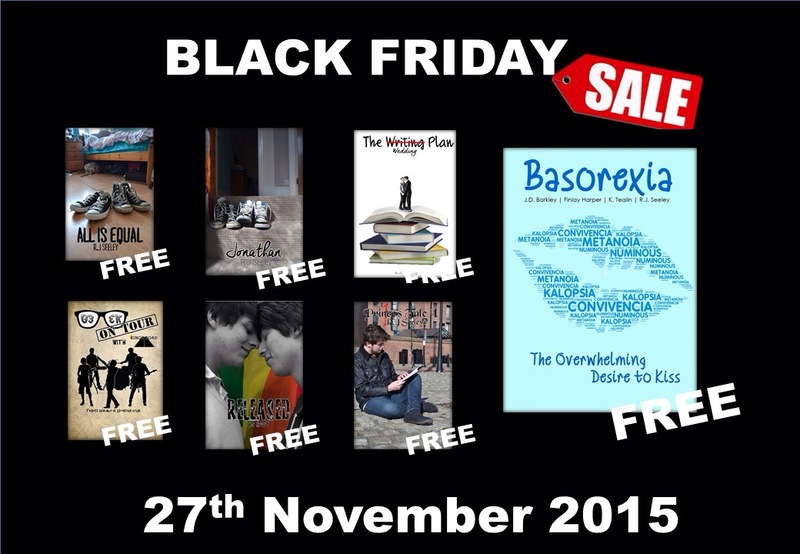 My Black Friday sale placed 6 of my books in the top 25 list on Amazon. My Black Friday sale had a record number of 700+ downloads. My most popular book in 2015 was All is Equal, since it’s release in August there has been 65 paid sales. The year started with Prince’s Tale going into pre-order, since then there has been many deadlines set, and many met, a few delayed. My most exciting release of the year was Basorexia, my story I wrote with 3 co-writers Finlay Harper (who is releasing his first novel in 2016), J.D. Barkley and K. Tealin, as the story was in production for 2 years it was definitely the most anticipated release, and as it began to happen definitely the most exciting, especially being able to publish it with 3 authors who had never published a book before. But, with highs, unfortunately comes lows, and with a more public view, comes negativity, when I look at my sale numbers I realise the negativity is coming from about 5% of my readers, but, as always negative comments stay with you more than compliments. Very soon the negativity began to get to me, and unfortunately the only thing I could think to do was declare a publishing break. The break was enforced after the release of my latest book, On Tour, and so far the break is helping me focus on past books and future plans without the idea of any deadlines. I love to write, and I especially love to share my writing, I want people to fall in love with my boys like I do, and I want people to be apart of their worlds. Their stories. Unfortunately right now, I’m feeling a bit hesitant to share anything new just yet, I’ve always been aware there is problems in my writing, but what indie author doesn’t have problems in their writing. I am looking to hopefully having some of those problems ironed out, and am actually looking forward to the things I have planned for early 2016. So, as you can tell 2015 was definitely a mixed bag for me, but I come out of it with the knowledge of what I need to do to improve, and won a slightly rose tinted optimism. 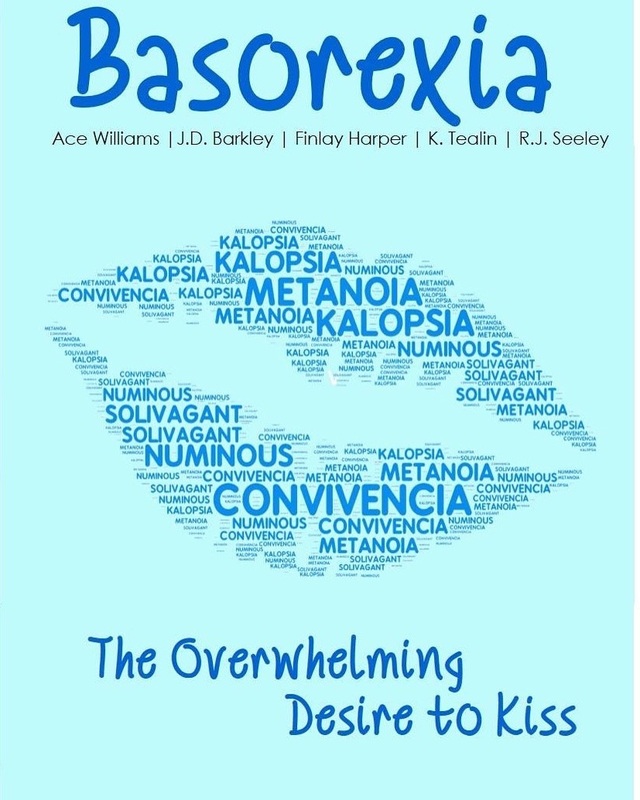 Well, it’s here, Basorexia: The Overwhelming Desire to Kiss is available to buy now! Well, Summer is nearly over. Well, actually we could actually say we’re well into September, and autumn but, I believe today might be the last ‘sit outside in a t-shirt‘ day for a while. But, summer is alas nearly over, I have turned 20, which officially means that we’ve passed the middle of the summer, and everyone’s back at school and work. It was an enjoyable summer, but, I also spent a lot of time thinking this summer. I got myself an editor, which is a big yaay! and I finally released Basorexia, the book that has been in waiting for two years. I have, however now made my decision, when On Tour is released on the 6th October, that will be the last RJ book in 2015. It will also, probably be the last book until at least 2017. I am taking a break, I will be gone. Sure, I will still blog, I’ll still be on social media, I’ll keep everyone updated, but there will be no publications until 2017, which sounds a lifetime away, but really as we’re already in September 2015, we’ll be there before we know it. All my previous books will go through an edit, and a rebrand. More will be revealed in due course. You can pre-order Basorexia Now! Find four of the fabulous authors on Facebook and Twitter! Well, I am just bubbling with excitement and anticipation. It has been a long two years, but we finally got there. I, in December 2013, had my heart set on starting a project. 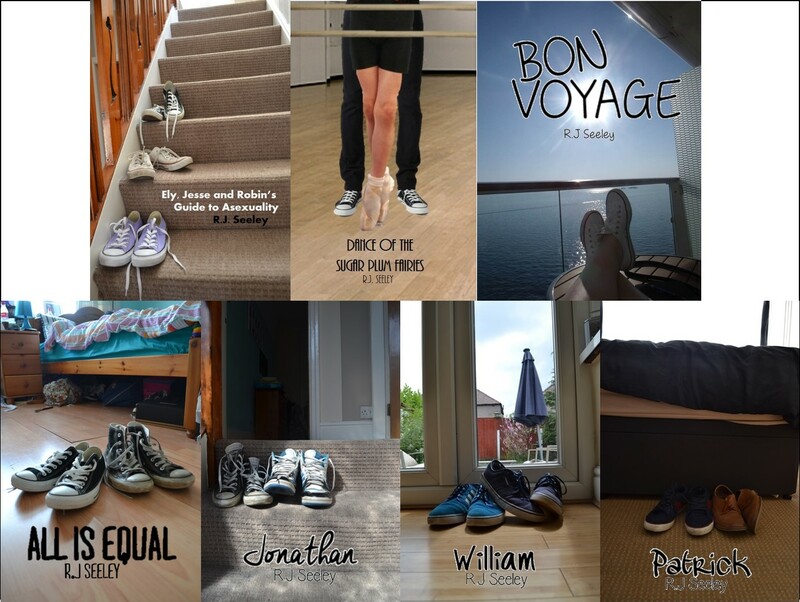 A project that showed what it was like to walk in someone else’s shoes. I called in any friend that had ever said to me ‘I want to publish a book’, anew I made it so. I found a word. A word that could spark so much inspiration, so much different inspiration. The creation began in January 2014. We all met up, ordered pizza and we began an epic brainstorm. We were mere 18 year olds when the project began (well, one was 19). And we worked on this project for months straight, we worked alone, then met and updated on our progress, although the update on progress became meeting up to eat pizza, drink coffee, laugh. Only about 40% of the time did we actually talk about the book. But we still continued to work. It hasn’t been without its difficulties, life did get in the way. With us all still completing years in college and university, we had to work out how to create our characters and also revise enough to actually complete our education. But, we still managed to do it. We managed to create five people; 17 year old Robert, 18 year old Isabelle, 21 year old Caleb, 16 year old Ellie and 18 year old Dom. Each with their own story to tell, each with their own overwhelming desire to kiss. I have a 2015 challenge! 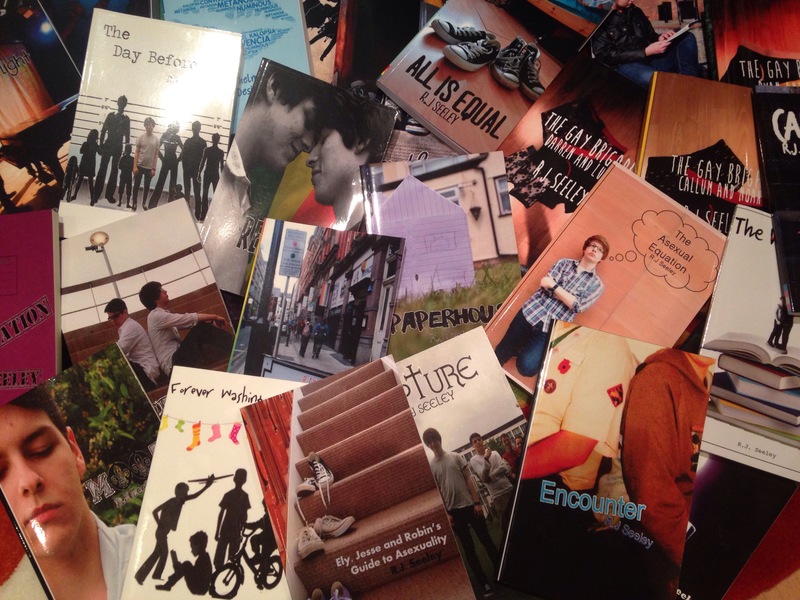 To write a drabble every day of the year then publish them all on January 1st 2016! Terrifying! I currently have 73/365 chosen and a firm idea for at least 68 of them. It’ll be a year of prequels and sequels and missing scenes. There’ll be first meetings, first times, last times, dramatic reveals, sad scenes, happy scenes, weddings, engagements, children. Everything will be thrown into the next 365 days! I feel shoes say so much about a person. 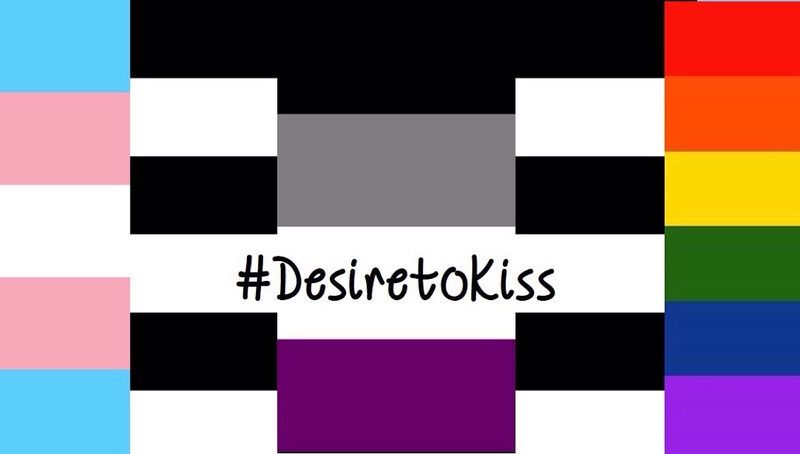 The first cover Ely, Jesse and Robin’s Guide to Asexuality: Has three pairs of converse, all different colours, different ways, laces in different stages. This shows that although Ely, Jesse and Robin are all asexual it also shows that they are all different, they have their own personalities, own boundaries but all fall under the same category. Dance of the Sugar Plum Fairies: This cover obviously shows that they are pupils in a ballet school, but also with the shoes behind the pointe ballet shoes shows that the boy behind is older and more experienced, also shows that maybe he is no longer a pupil. Bon Voyage: Simple really this one, a nice, white clean pair of shoes and the sea, simple, he’s on holiday. All is Equal: The fact that they’re wearing the same coloured shoes but different styles of them shows that they although are alike in some ways also shows that they are different in many more, the clean pair against the messed, worn pair makes the differences even more evident. Jonathan: Both pairs show that both characters are young although one is that bit older. William: Shows that both characters are pretty much the same age but just have slightly different personalities. Patrick: Shows that both men are more mature, but one is a lot more mature than the other. On my collaboration the fact that there is four VERY different pairs of shoes shows that these four characters are four very different people with very different stories to tell. Shoes say so much about people, the way they are sitting the way they’re tied, if they are clean or if they are scuffed. How Exciting! Basorexia has come on leaps and bounds since it’s start in January, of course it won’t be available until December/January but hey why not start a bit of excitement! 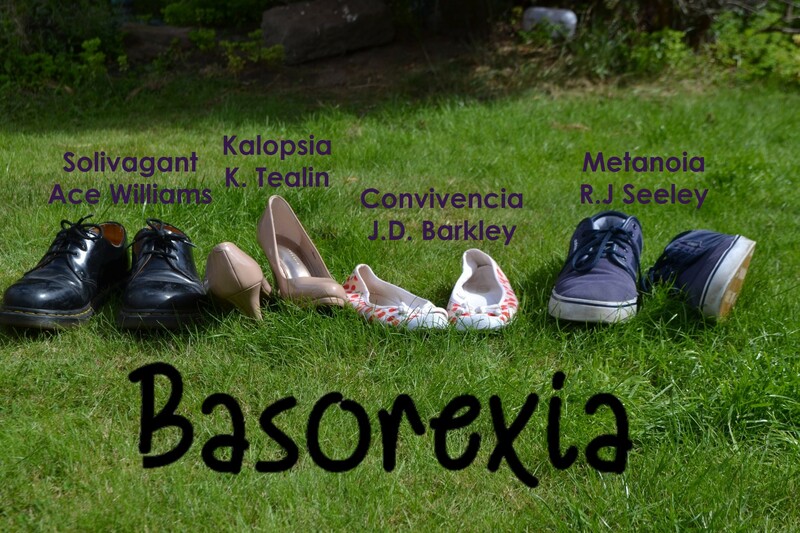 Basorexia is a collection of stories of four teenagers struggle with understanding their desire for an other. Robert is 17 and finally discovering what’ll make his life complete. 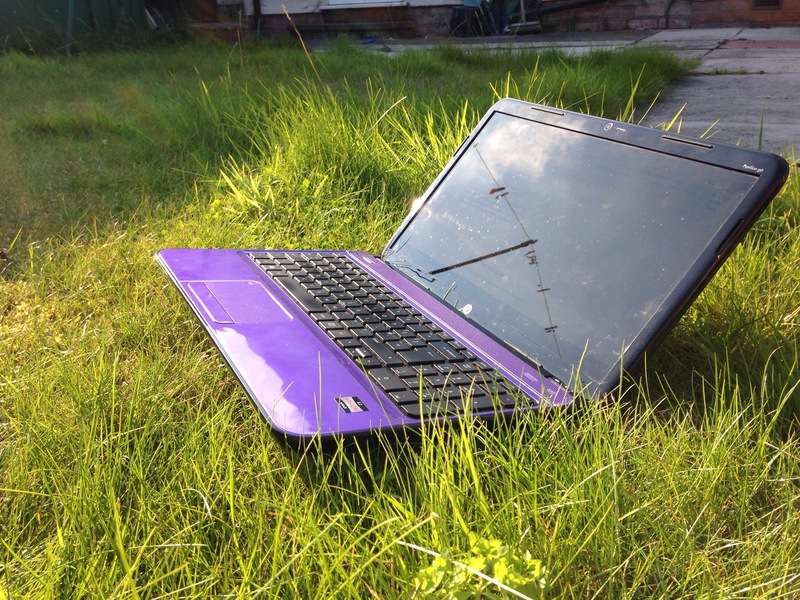 Ellie is 15, leaving school and finally leaving her old self behind. Isabelle is 18 and is finally seeing the world out of rose tint. Dom is 18 and struggling to understand his feelings for the guy who sits across the class. It’s finally come the day Charlotte can become who he truly wants to be. But it can’t be as easy as that, he first needs to tell someone and that scares him, but he knows it’s what he needs to do. Ellie is a product of her environment conditioned by her mother’s hyper obsession with feminine beauty, Ellie doesn’t know where she fits in, and is desperate to find out, she finds her feet in a library where she also finds an older guy who makes her feel things she never felt before. Isabelle sees the world through rose tint, in her world everything is perfect to her until a night out that goes wrong which sets off the harsh alarm clock that is life and soon enough she finds out just actually what matters. Dominic has an opportunity to escape the life he resents, but can he take it? Held back by a surprise encounter with a new love interest and having trouble facing his true feelings what will he do? For Basorexia I asked 3 people who I knew quite well to help me write a story, one of them I’d collabed with before, one I’d tried to collab with time and time again but we never quite got far and one I knew wanted to finish a story and I wanted to give them all the opportunity to do so. Basorexia like everything began as a idea, just a day in December sat in Burger King writing ideas down on a receipt then it formed, everyone was asked and everyone said yes, the meetings started quickly afterwards, we’d come to my house order 4 for £5 pizza and we’d begin to plan, very soon our characters became more than characters they became people, people who we discussed as if they were nothing less, people we hated at times, people we felt sorry for, people we didn’t want to say goodbye to. Over the time the four of us have bonded as a team as well, we’ve gotten closer without really knowing it, we can laugh and joke around then get to work and it’s not hard work it’s fun.